Ian Webb discusses how you can be the first link in the value chain of creating wealth through property. Possibly one of the best kept secrets in the mortgage industry is this: The LVR restrictions do not apply to you if you’re building a brand new home. Thinking as a property investor, in the last 5 years years or so the main barrier in the way has been these LVR (loan to valuation) restrictions in place which dictate that you effectively have to have 35% of the purchase price to buy an investment property (in the form of cash or equity in your home). Arguably this has taken [some of] the steam out of the housing market and put pressure on the existing housing stock across the nation. These regulations had an unintended side-effect – the main way to keep prices growing at a more realistic pace, is to increase the supply of housing stock (not just kill the demand). When the LVR restrictions were introduced, Ian Webb was instrumental in creating a ‘hole’ for new builders to climb through. Did you know that for as little as 5% deposit you could build your next rental property? Well if it’s that easy, why isn’t everyone doing it? We hope you enjoy this peak into how construction finance works, warts and all! We’re keeping it real on NZ Everyday investor – we’re not journalists and this isn’t an interview – it’s a discussion, hosted by someone who’s genuinely into this sort of thing. If you like what we do, remember to subscribe to our show and share it with others – this may be just what they want to hear. You know what else would be make us rather chuffed? Write a review on facebook too! 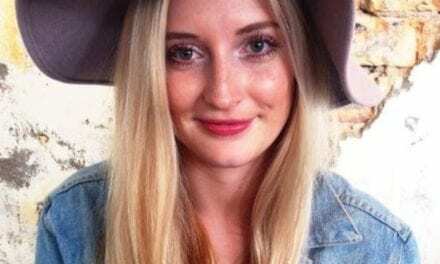 NZ Young Professionals Podcast 24: Elly Strang – The 2nd Youngest Magazine Editor in the Country. An innovative approach.